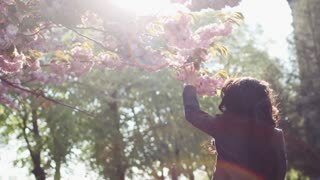 Girl Spreading Hands with Joy and Inspiration Facing the Sun. Spectacular Sunrise View from the Ship. 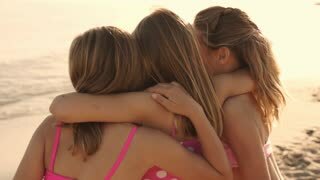 Three girls facing away from camera and hugging. Young Girl Spreading Hands to the Sun and Sky. Slow Motion.